Over the years of 10GbE’s existence, there have been numerous different form factors and optics types introduced. Although the newest SFP+ transceivers offer a much smaller form factor and the ability to offer 1G/10G combo ports on hardware for the first time, the oldest form factor XENPAK remains very popular as the install base is large. Because of continued breakthroughs in component-level integration, it became possible to package a “transponder” in increasingly smaller packages. 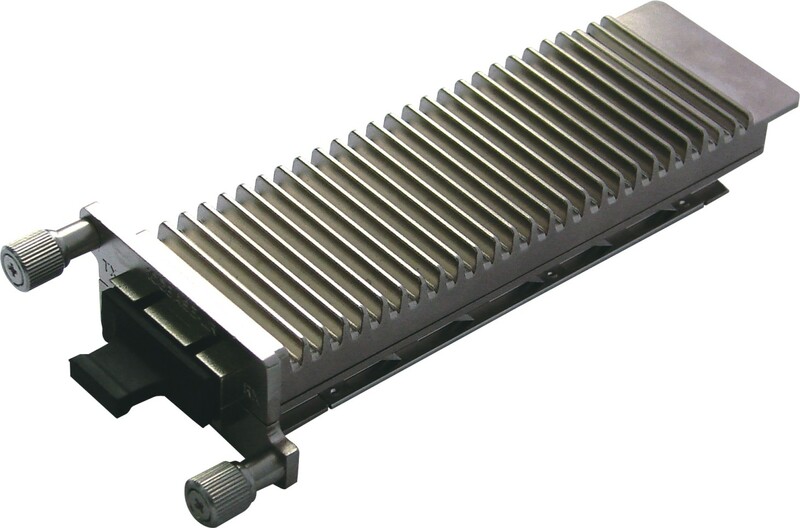 At the same time, a market need arose for systems with more than one 10 Gbps optical port on a single optical interface card and an interest to leverage the same “hot pluggability” feature that was available with the SFP modules that covered lower data rates. The density and pluggability issue was in particular true for 10GbE applications but also for SDH/SONET applications. A new MSA became available, called the XENPAK-MSA, to address the above-mentioned market needs. XENPAK MSA was instigated by Agilent Technologies and Agere Systems, that defines a fiber-optic or wired transceiver module which conforms to the 10GbE standard of the IEEE 802.3 working group. The MSA group received input from both transceiver and equipment manufacturers during the definition process. XENPAK has been replaced by more compact devices providing the same functionality. The XENPAK MSA was publicly announced on March 12, 2001 and the first revision of the document was publicly released on May 7, 2001. The most recent revision of the MSA, Issue 3.0, was published on September 18, 2002. The result covered all physical media dependent (PMD) types defined by the IEEE at that time for 802.3ae 10GbE. Although the XENPAK agreement received early support, its modules were thought to be overly large for high density applications. As of 2010, vendors generally changed to use XFP modules for longer distances, and Enhanced small form-factor pluggable transceivers, known as SFP+ modules, for higher densities. The newer modules have a purely serial interface, compared to the four “lane” XAUI interface used in XENPAK. Like the move from GBIC to SFP, the move from XENPAK to SFP+ seems inevitable. However, XENPAK modules are still needed in the market currently. The XENPAK housing is equipped with two SC optical connectors, and its board attachment scheme requires a cut-out in a PCB with alignment to a mating PCB connector. Unlike the SFP pluggable device, the XENPAK package was intended to be fully EMI compliant; hence a cage or guidance system is not required. An industry standard 70-pin electrical connector provides the electrical interface. The input and output data signals are transmitted according to a new electrical interface specification, called XAUI, which was defined in IEEE 802.3ae. In short, the XAUI interface specification is based on four bidirectional lanes carrying 3.125 Gbps per channel. This setup simplified electrical trace management on the host PCB board relative to the 300-pin transponder, which required 16 parallel electrical channels per 10 Gbps optical signal. However, it also required that each trace carry a higher data rate. In order to simplify design and layout, additional overhead processing was added to the signal with which to correct for signal integrity challenges in the host PCB. The four 3.125 Gbps XAUI lanes give an aggregate bandwidth of 12.5 Gbps in order to transmit a 10.3125 Gbps optical signal. While use in SDH/SONET applications was foreseen in principle, most versions are specifically aimed at 10GbE applications, where large volumes were expected. Many tranceiver users faced difficulties applying XENPAK devices, mainly due to the module’s size, required board cut-out, and associated thermal issues. The market requested that an alternative smaller sized package be defined that would not require a board cut-out. Three solutions have been proposed: XGP, X2 and XPAK. The application area is the same as for XENPAK, 10GbE and Fibre Channel, but SDH/SONET applications are also foreseen. The XGP concept has since been abandoned due to lack of agreement on a specification. The two remaining and competing MSAs are the X2 and XPAK. These were developed around the middle of 2002, both using the same 70-pin electrical interface connector that was required for XENPAK. However, unlike the XENPAK, both the X2 modules and XPAK modules require a guiding/cage system. Both of the packages are of smaller size than XENPAK. The first parts available to the market were intended for 10GbE applications, and the input and output data signals are according to the XAUI specification as for XENPAK. 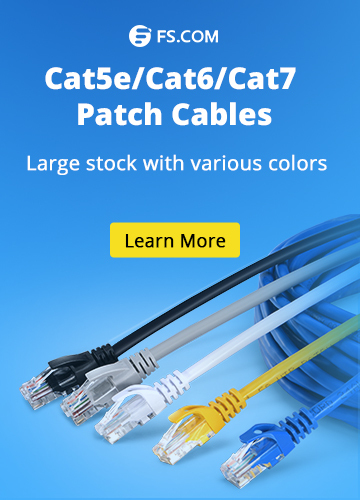 Versions accommodating SDH/SONET STM-64/OC-192 applications are also foreseen, where the electrical interface would be addressed with four 2.5 Gbps data signals based ipon the OIF SFI4 Phase 2 based electrical interface specification. 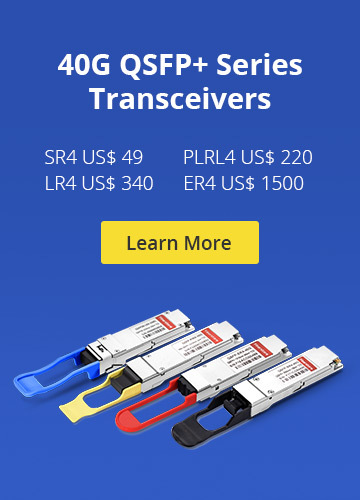 Fiber Optic Transceivers, XENPAK Transceiver X2 modules, XENPAK Transceiver, XFP modules. permalink.